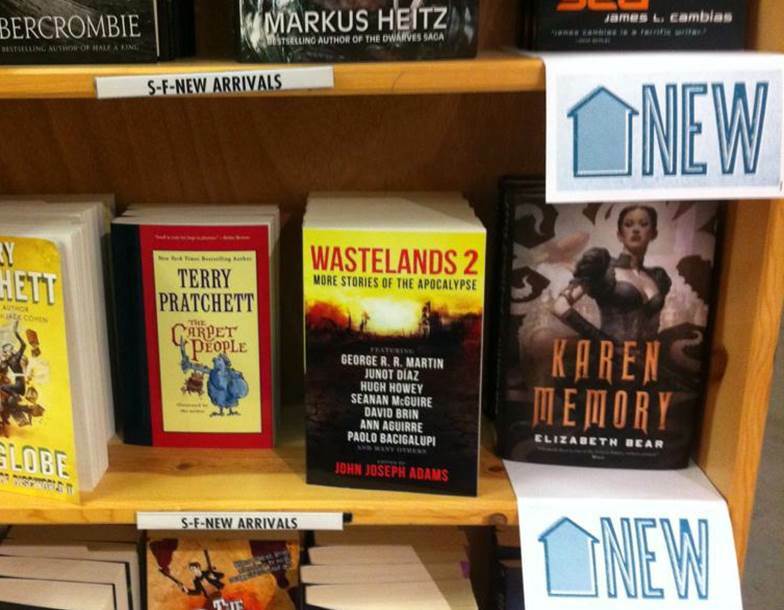 That’s Wastelands 2 , which includes my story “Dreams in Dust,” next to Terry Pratchett on the new arrival shelf. Very cool. This entry was posted in Science Fiction, Writing and tagged Dreams in Dust, Wastelands 2. Bookmark the permalink.